The Sjuøyane („Seven Islands“) are the northernmost part of the Svalbard archipelago. 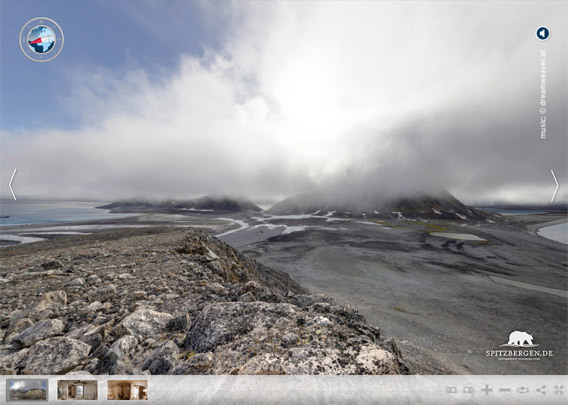 Situated on 80°40’ northern latitude, they are just around 1040 km away from the North Pole. 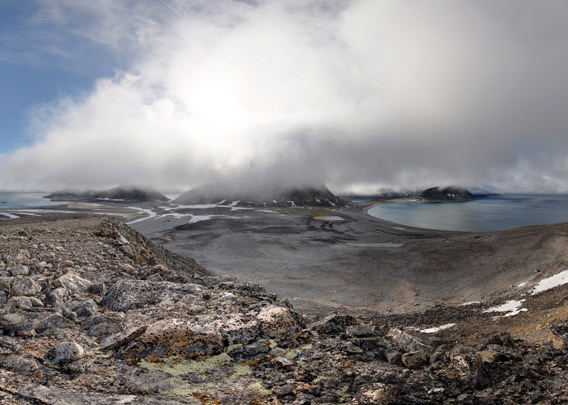 They have, accordingly, many characteristics of high arctic islands: barren polar desert with few species of higher plants, mostly Purple saxifrage and Svalbard poppy. Vegetation, as far as there is any, is largely dominated by mosses and lichens. Walrusses and polar bears are common. Due to the northern branch of the West-Spitsbergen current, they do have some sub-arctic characteristics at the same time, such as s surprising number of puffins which are breeding on steep kliffs. You can often see them in flight near Sjuøyane. Phippsøya is the largest island of the Sjuøyane. The large islands (Phippsøya, Martensøya, Parryøya) are all quite similar regarding their scenery: rocky hills with more or less steep slopes with barren lowlands between them. The coastline has wide bays between steep rocky cliffs. There is a little hut standing in Isflakbukta on Phippsøya. This is Svalbard’s northernmost hut. 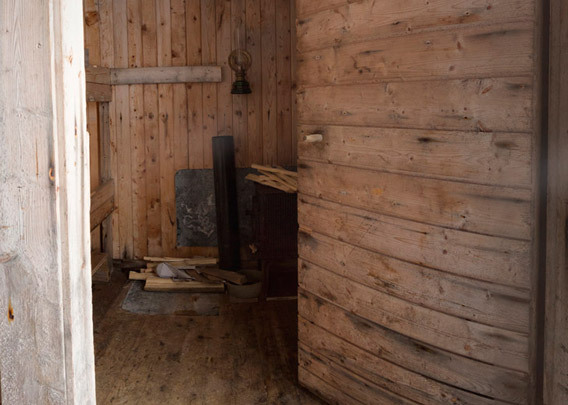 It was built on behalf of the Norwegian government in 1936 as an emergency hut for sailors or anyone else in need. 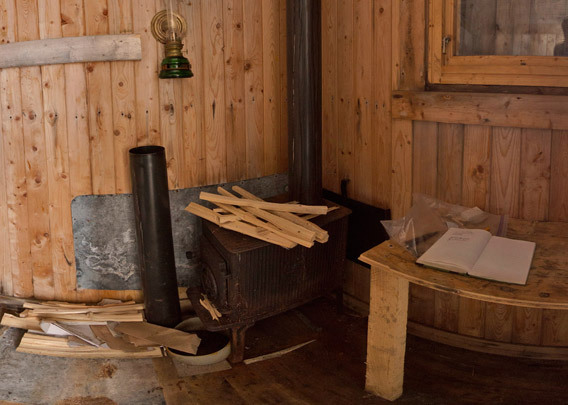 The leader of the expedition which built this hut was mining inspector (bergmester) Hans Ingvald Kristoffer Merckoll. The huts from 1936 are still today known as Merckoll-huts. This hut is just an emergency shelter. It is accordingly very small and it has never been used for a wintering or any other purpose. Neither has it ever been used by castaways, as far as known. There were and still are 4 Merckoll-huts. One is standing on northern Barentsøya (Heimland). Merckoll-huts no. 3 and 4 are on Kong Karls Land.